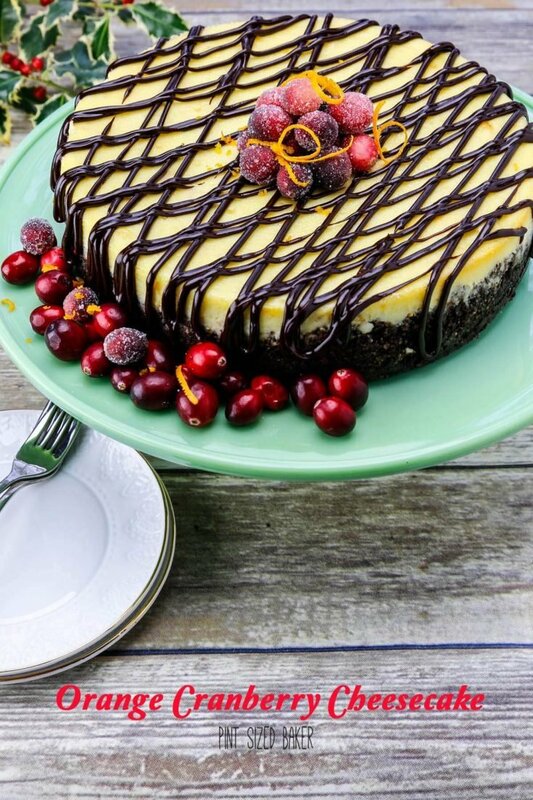 This holiday season enjoy this Cranberry Orange Cheesecake Recipe with your family and friends with great conversation and a cup of coffee. This post is sponsored by Wilton Industries. All opinions are my own. Are you ready for the holidays? They are coming if you’re ready or not! I am in the “not ready” camp. 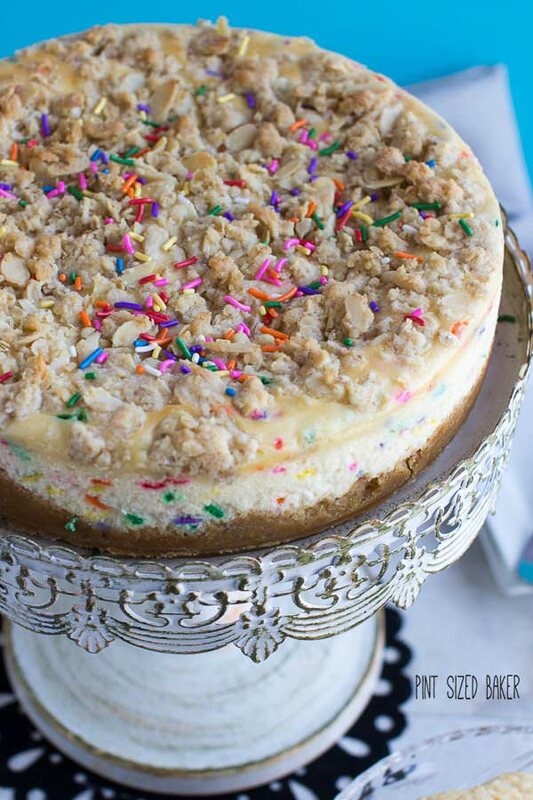 I am so far behind life this year, so it’s a good thing that this cheesecake can be made ahead and popped into the freezer so that it’s ready when you are. 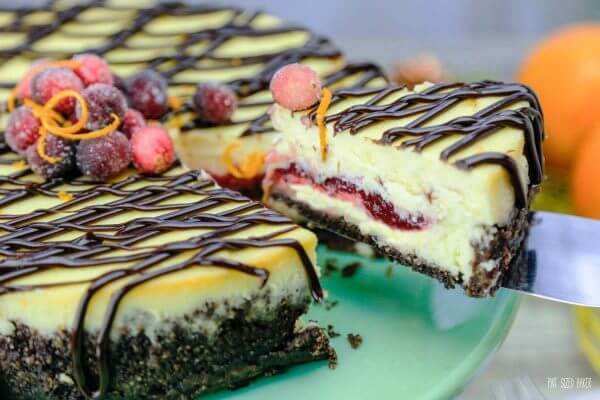 You are going to be so in love with the sweet orange flavor of the cheesecake and the tart contrast of the cranberry filling. I love serving it to my family during the holidays! 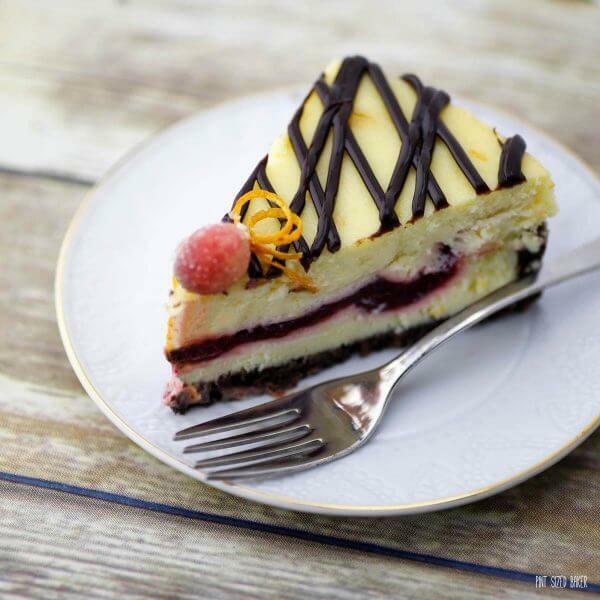 Looking for some great tips to get the perfect cheesecake every time? Here’s a few that make all the difference. Start with wrapping the springform pan in foil. Cheesecakes need a water bath to help bake the cheesecake evenly. We wrap the pan with heavy foil and place the entire pan into a larger baking pan with hot water. The springform pan needs to be watertight to keep the water out and the crust crisp. No cracked tops wanted here. Get a springform pan – obviously. 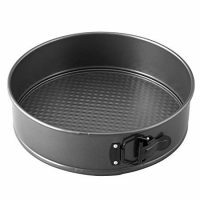 I love this Wilton 9-inch Bake it Better Springform Pan that you can get at your local Wal-Mart store. (You can get everything you need for this recipe at Wal-Mart.) A springform pan has removable sides that make it very easy to remove the cheesecake for serving. I used a large cake lifter to get the cheesecake off the pan base. Use room temperature cream cheese. Let your cream cheese, and in this case Mascarpone cheese, come to room temperature before beating it. Soft cream cheese will whip up smoothly. If the cream cheese is too cold, you’ll end up with lumps and nobody likes a lumpy cheesecake. Don’t over mix your batter. Cheesecake is supposed to be thick, not airy. If you end up adding too much air to the batter, the cheesecake will balloon up too much while baking and then fall when cooling. The result will be a cracked top. Allow the cheesecake to cool overnight. You’ll pull the cheesecake out of the oven when it still has a slight jiggle in the center. It’ll seem undercoated, but it’s not. The cheesecake will keep cooking while it’s cooling. 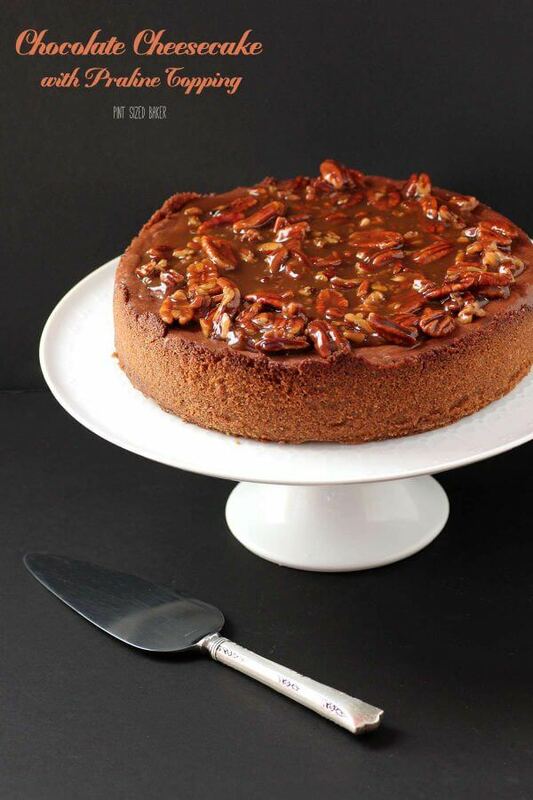 Refrigerating the cheesecake overnight will help it evenly solidify and be creamy for serving. Bake ahead and freeze it. You think that Cheesecake Factory has fresh cheesecakes all day, every day? Think again. They freeze it and you can too. For this cheesecake, bake it, refrigerate it, then wrap it tightly and securely and freeze it up to three months. Thaw it covered in the fridge for a night and add the chocolate fudge topping before serving. It’s so easy! 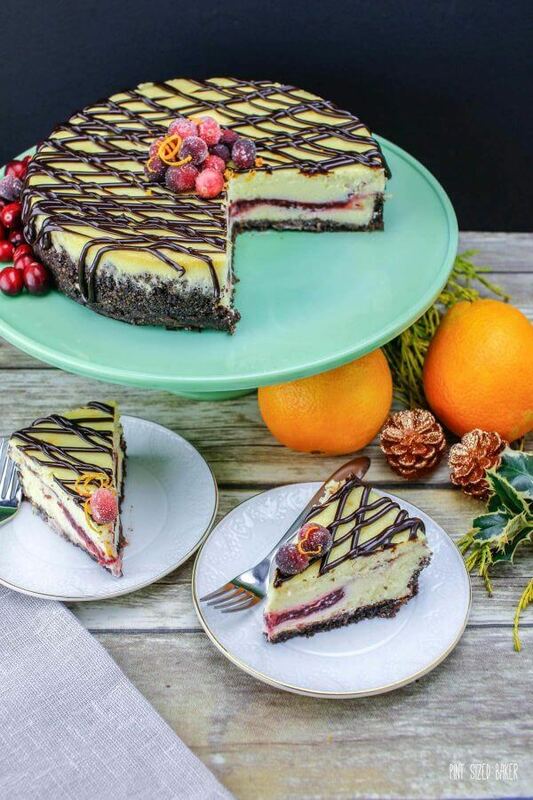 I hope that you enjoy your holiday season and serve this Orange Cranberry Cheesecake to your friends and family. The flavors are delicious and the presentation is awesome. Everyone is going to love it on the dessert table. Love the flavor combination of cranberry and orange? Check out these Cranberry Orange Cupcakes, this Cranberry Orange Pound Cake, and these decadent Cranberry Orange Muffins! 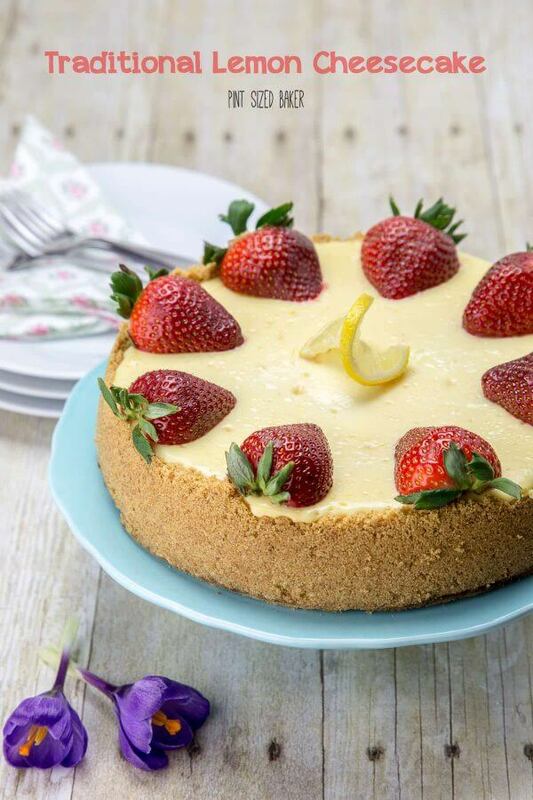 You can make all of these Cheesecake Recipes in your new Wilton 9-inch Bake it Better Springform Pan. Wrap a 9-inch Wilton Bake it Better Springform pan with a double layer of foil. In a food processor, place the pecans and graham crackers. Pulse until they are fine crumbs. Add in the melted butter and brown sugar and pulse 5 times. Press the mixture into the prepared springform pan pressing the crumbs up the side and on the bottom. Bake for 10 minutes and then cool for 30 minutes. In a large bowl, beat the cream cheese and Mascarpone cheese. Gradually add in the sugar. Stir the cornstarch, orange juice, and orange extract together then add to the mixture. Gradually add in the eggs and beat until just combined. Pour half the mixture into the cooled crust and reserve the rest. Place the cranberry sauce, whole cranberries, and water into a food processor and pulse until blended. Spread the cranberry filling over the cheesecake batter and top with reserved batter. Place the pan into a larger pan and add an inch of hot water to make a water bath. Bake for 60-70 minutes at 325F. The edges should be done but the center will still be giggly. Remove from the oven and water bath and let cool for an hour. Run a knife along the inside edge to prevent the sides from sticking. Refrigerate overnight. Before serving you can make some sugared cranberries and orange peels. Add a handful of cranberries to a baggie and coat them with honey. Remove from the baggie to a parchment paper and dust with sugar granules. Allow 2 hours to dry completely before handling. 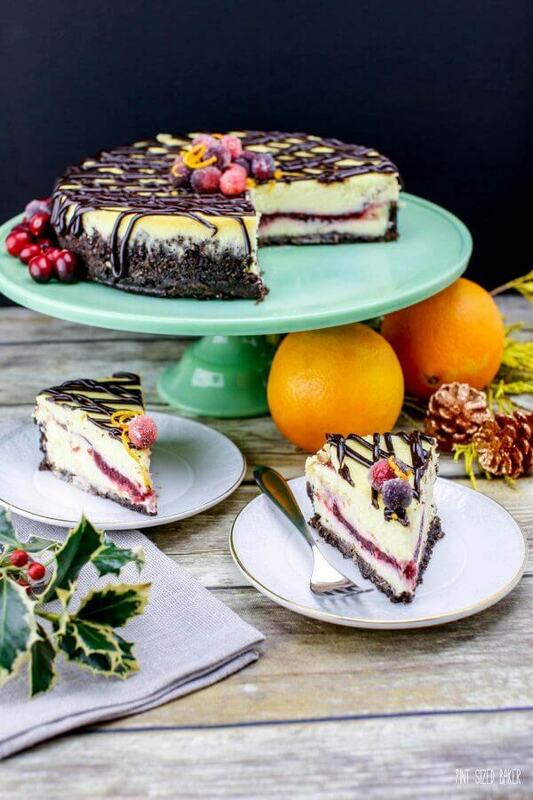 Top the cheesecake with chocolate fudge, sugared cranberries and some orange peel to a stunning presentation.